This is a four-day duck hunt at Luke’s farm just outside of Paris, Tennessee (a two-hour drive from the Nashville airport). The retreat will officially begin on a Thursday evening and will end at noon on Sunday. You would need to arrive by Thursday afternoon in order to be at the farm in time for dinner together Thursday night. Then you can plan your departure based on leaving the farm at noon on Sunday. There will be four main teaching sessions and at least three hunts during our time together. The main teaching sessions will be held each evening (Thursday-Saturday) and after breakfast on Sunday. This leaves plenty of time each morning in the blinds where groups can just hangout, share their stories with one another and discuss the teachings from each session together. All the basic amenities are included and plenty of hunting gear is available if you don’t own any hunting gear or a gun. There will be a chef on sight who will provide us with three home-cooked meals a day and there are enough beds to easily accommodate a group of 10-12 guys. The only cost to you is your flight or your gas to get here. 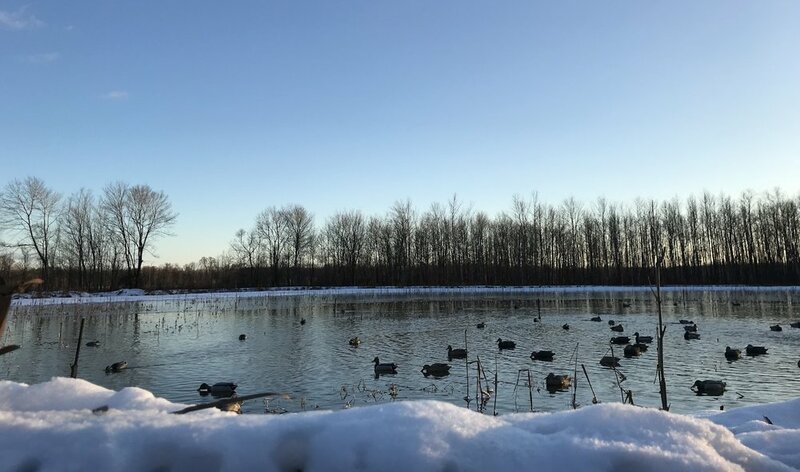 These duck hunting retreats are intended for current players and alumni, and we can host a few of these based on scheduling and availability. If you would like to put together a hunting retreat with some of your teammates or with a small group of players and alumni that you would like to spend more time with then we’d love to make it happen.